Rich Prawns Malai Curry, which is rich in taste, to try at home.U can serve this curry with ghee or jeera rice, biryanis,dosa,Idli,Chapathi,etc,. Shell,de-vein and wash the prawns with little salt ,then mix little salt and turmeric powder and keep it aside. Grind 1 cup grated coconut with 3 green chillies and cumin seeds into a fine paste.Wash the Mixie jar with 1/2 cup water and keep them aside. Heat 1 tbsp oil with 1 tsp ghee and shallow-fry the prawns till half-done and keep it aside. Heat the remaining oil,add bay leaf,green cardamom,clove and cinnamon stick. Add onion paste and saute for 3 mins till oil separates from the mixture. Add ginger garlic paste and saute for a min more. Add shallow-fried prawns,salt,coconut paste and 1/2 cup coconut paste washed water.Simmer for 5 mins. Add cream and mix well and turn off the flame within 30 secs. 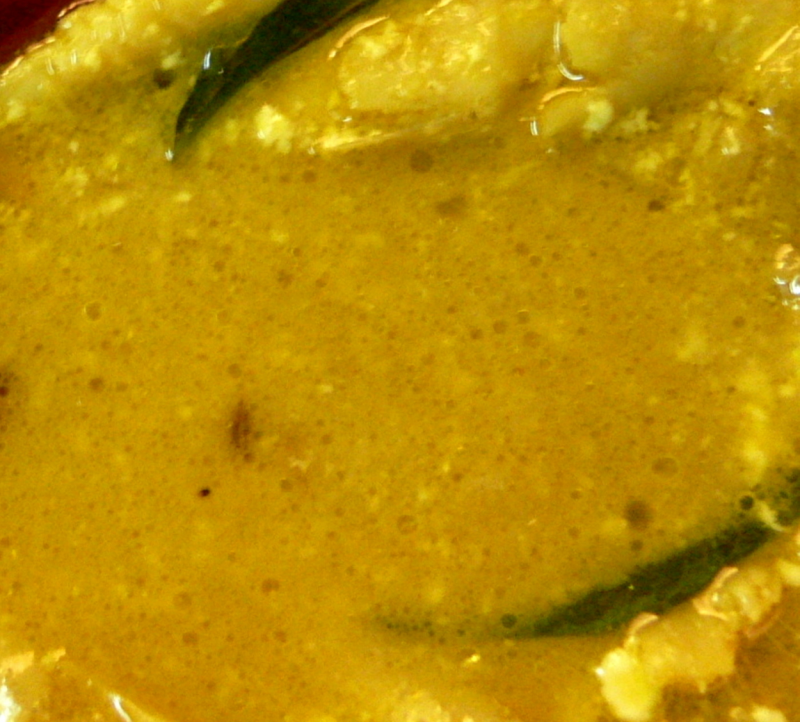 Serve this Prawns Curry hot with ghee or jeera rice, biryanis, dosa, Idli, Chapathi,etc,.